Metal Gear Solid 5: The Phantom Pain is A Hideo Kojima Game, and JB Hi-Fi won’t hear any arguments. 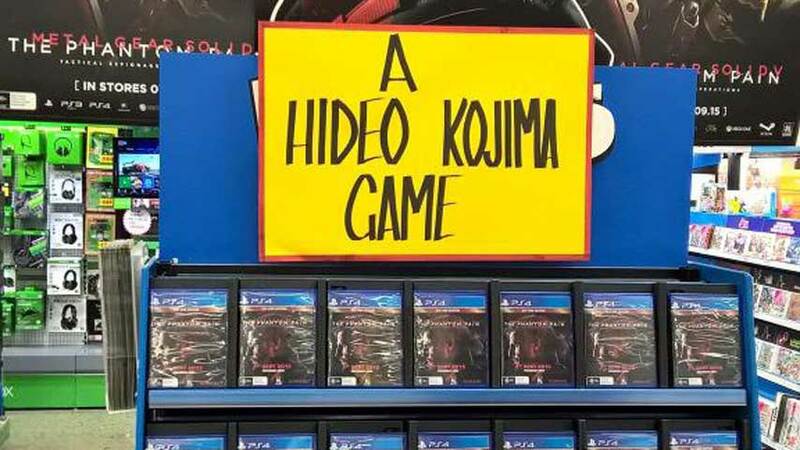 Look for Metal Gear Solid 5: The Phantom Pain displays in any JB Hi-Fi store in Australia and you may notice staff have leveraged their famous hand-made signs to correct Konami’s oversight. Kotaku Australia has collected a gallery of examples, each adding the phrase “A Hideo Kojima Game” to the anticipated open-world epic. Every Metal Gear Solid game to date has proudly displayed this message, and its absence from The Phantom Pain’s cover has been linked to persistent talk of trouble between Kojima and publisher Konami. Reviews of Metal Gear Solid 5: The Phantom Pain have been very enthusiastic, although questions have been raised regarding its utilisation of microtransactions, which were not live in review builds. It hits PC, PlayStation 3, PS4, Xbox 360 and Xbox One on September 1, with Metal Gear Online launching in October for consoles and early 2016 for PC.